The Big Apple, the City That Never Sleeps, New York City... call it what you will, but there's no denying that New Yorkers love their yoga. With so many different yoga studios in New York City to choose from, we were interested to know what made them special, and their thoughts on New York's yoga community. Just for you, here are 15 amazing, wonderful yoga studios in New York City that you should check out the next time you're in town. What kind of yoga do you teach at the Om Factory studios? A range of styles, from Vinyasa to Restorative yoga and specialty classes like Aerial Dance (a yoga-based warm up that leads to aerial-based choreography), Aerial Yoga Core (with a bend towards conditioning exercises) and Aerial Yoga Blast (think Friday night yoga party). What do you feel makes your studios special? We are yoga anarchists who dream that our students find their own path through their practice in whatever form it takes. Our greatest strength is the vibrancy of our community. New York City is a hub for yoga. Do you feel that there is strong yoga community between different studios? There is a massive amount of respect between various studios and often teachers teach at various yoga studios throughout the city. This allows for a beautiful cross-pollination of ideas behind the scenes as teachers contribute to a city-wide identity for yoga, palpably different from that which you might find in another American city. What kind of yoga do you teach at Pure Yoga studios? Ashtanga, Hot Power yoga, ​Slow Flow Yoga, Vinyasa, Yin yoga, Meditation, and Mysore, among many others. 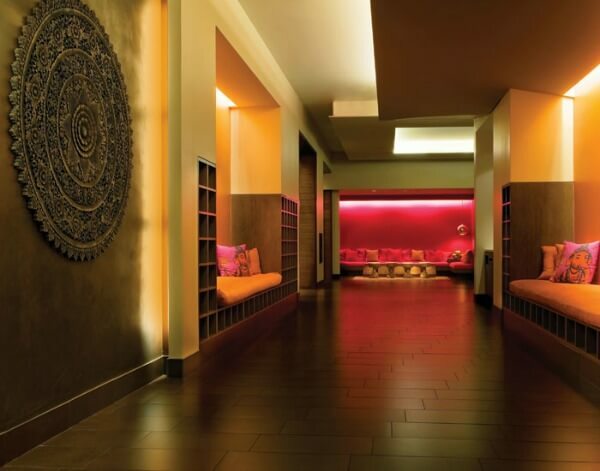 The spacious facilities, which makes Pure Yoga feel like an oasis in the middle of the city. New York is a hub for yoga. Do you feel that there is a strong yoga community between different studios? New York has such a strong yoga community, and we're grateful to be a part of it. There is a camaraderie amongst instructors and studios, and we love seeing instructors from other studios attend our workshops and take our classes. What kind of yoga do you teach at the Yoga Vida studios? An open and welcoming Vinyasa flow. Our sense of community and inclusion. We want our students and teachers to feel that they are part of something bigger. Yes, we absolutely feel there is a strong yoga community here in NYC. Our teachers often teach at many different studios so they act as bridges between the community. What kind of yoga do you teach at Yoga Union? Strong, safe alignment classes of all levels, including a stimulating Teachers’ Class and Prenatal yoga. Yoga Union also runs 200- and 500-Hour Teacher Trainings. What do you feel makes your studio special? All our staff have serious self-practices and a strong commitment to ongoing education, and the studio puts emphasis on knowledgeable alignment and kinesiology. The studio is also considered to be one of the most beautiful in NY. Studios are aware of each other, and it is common for studio owners to have friends among the owners of other studios. 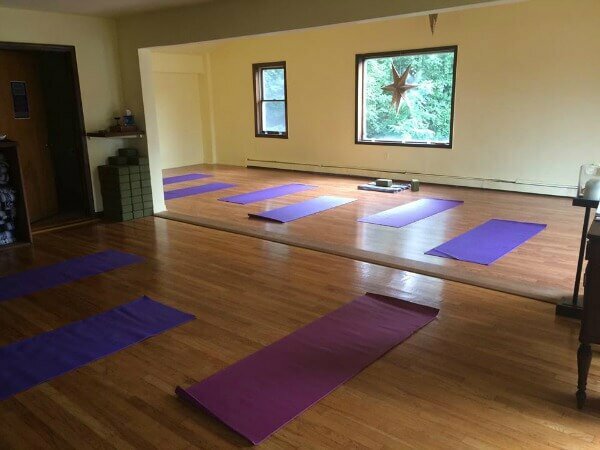 Certainly, without a sense of community, we would have had a much harder time leading Yoga for NY to victory against the State when we got a bill signed into law by Governor Paterson exempting Yoga Teacher Trainings from licensing. What kind of yoga do you teach at the Dharma Yoga Center? We are the worldwide headquarters for Dharma Yoga. 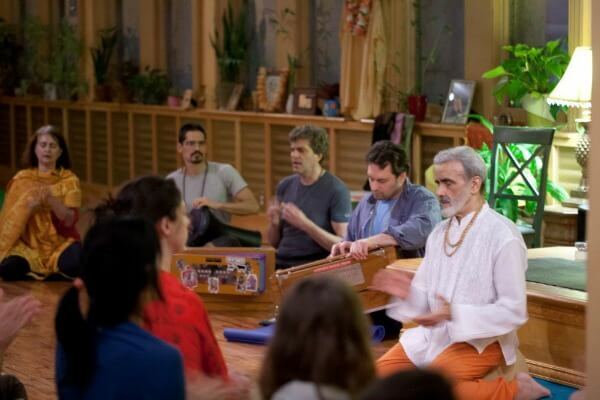 Dharma Yoga is based on the traditional, classical yoga Sri Dharma Mittra received from his beloved Guru and that he has practiced, refined, and shared for the past half-century. The chance to study with a living master and his long-time, fully certified teaching staff. On a given day, there are people here studying yoga from all over the Tri-state area, as well as from around the world. Unfortunately, no. Most schools are islands unto themselves, although we sometimes collaborate to support worthy causes, which is great. What kind of yoga do you teach at the New York Yoga studios? Primarily Vinyasa Flow - ranging from Basics, All Levels, Gentle - with some of the Hottest Power Flow you'll find in the city. 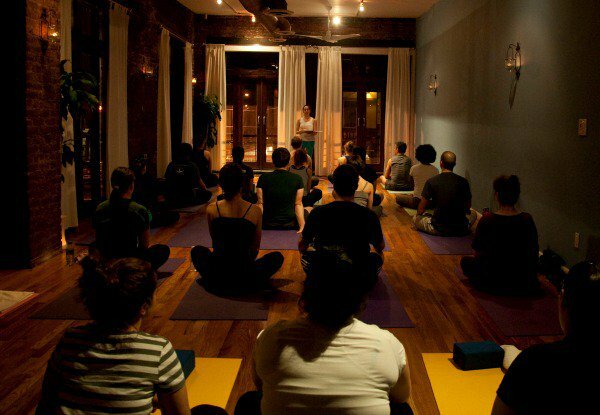 New York Yoga is truly the neighborhood, community yoga studio. We want students to feel comfortable taking a chance on a new class because they can count on the fact that they will be met and supported wherever they are in their practice. The yoga community is a fabulously impressive one. We all know each other and cheer each other on, even if it is just through our liking an Instagram pic, or raving about our favorite teachers to friends. What kind of yoga do you teach at Yogamaya? Vinyasa Yoga with a strong emphasis on alignment. We have an inspiring and welcoming community of teachers and students that love to include all of the aspects of yoga in their practices. We pride ourselves on creating an environment that promotes learning and growing as well as being thought of as one of the most beautiful studios in NYC! 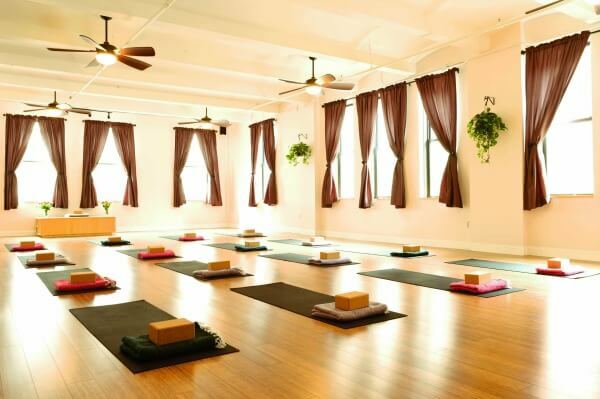 There are a lot of studios and a lot of yogis in NYC, so there is plenty of room for everyone. Some students take advantage of hopping around and trying lots of different classes and teachers while others find the studio and/or teacher they feel a deep connection to and call it home. What kind of yoga do you teach at the Greenhouse Holistic studio? What we offer aims to traverse the boundaries of so-called "style." It's a throwback to the original intention of the teachers of our teachers, Sri Krishnamacharya and his son T.K.V. Desikachar, who believed that yoga should be adapted to individuals, and not vice versa. The diversity and outstanding quality of our teaching staff, and the strong community fostered in the embrace of that diversity makes Greenhouse unique. This is by no means a "guru" studio, but rather a team collaboration. Everyone is welcomed as they are, and offered the space and support to grow. Yes! The sharing of practice across tradition and lineage is where the magic happens. We make friends, and develop a rare taste for how beautifully tailor-made modern yoga can be, for anyone and everyone. What kind of yoga do you teach at the Sacred studio? Our community. We celebrate bodies of all shapes and sizes and as a safe home for yogis of color, GLBTQ yogis, and yogis of all ages and walks of life. Not really. There is definitely crossover, but we are very young in terms of building alliances across yoga studios. We think there has been a pervasive attitude of scarcity or competition as well as an ego attachment to yoga style. We think there is a shift in consciousness beginning, and that the festival community is helping encourage that shift. What kind of yoga do you teach at the Yoga Agora? Open level Vinyasa, and various workshops for pranayama, Kundalini, Yin yoga, and inversions. Yoga Agora is special because we are loyal to the neighborhood of Astoria. We're really non-corporate. 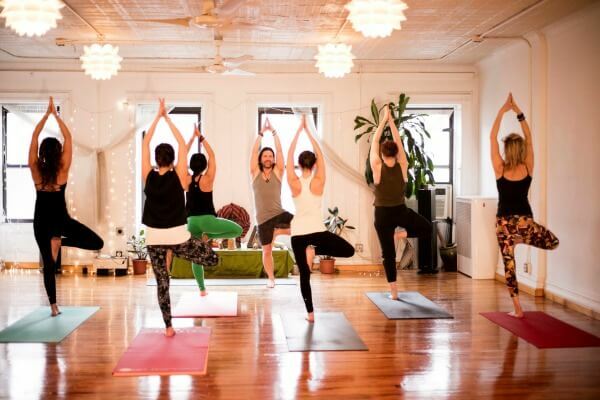 There is a distinct, and very strong, community in every NYC yoga studio. Practice at one studio long enough and you will start to feel their unique culture. What kind of yoga do you teach at the ThirdEye studio? Private yoga sessions for fitness, therapy, and health for all walks of life regardless of age, agenda, or experience. We believe that each person is unique and deserves full attention. There is no one-size-fits-all formula for everyone. ThirdEye Yoga is about a physical and mental lifestyle, not a complicated shape or a stressful workout. It could be a lot stronger and more connected. What kind of yoga do you teach at the Sonic studio? Vinyasa Yoga from the Krischnamacharya lineage as well as classical Hatha Yoga. Sonic teachers are primarily influenced by the modern wisdom of Shiva Rea and Dharma Mittra, as well as Guru Dharam of the Kundalini tradition. An open-hearted community that supports the individual and unique personalities of our teachers and students. Our community is filled with artists, dancers, musicians, as well as people of all walks of life coming together in celebration of life. Lauren Hanna, the founder, absolutely feels a strong connection to the other NYC yoga studio owners. She has practiced with Sharon Gannon and David Life, Dharma Mittra, Dana Flynn of Laughing Lotus, and Alison West of Yoga Union. What kind of yoga do you teach at the IYI studio? The Integral Yoga method, developed by yoga master Swami Satchidananda, is a specific selection and sequence of asanas, deep relaxation, breath work, and meditation to create and maintain health in the body and peace in the mind. Integral Yoga teaches all aspects of the great science and philosophy of Yoga. It's not just physical, it's a blueprint for life. Yes, there is a wonderful diversity of yoga offerings in New York City, and a great understanding among the different schools that we share the same goal of bringing peace and health to our city and our world. What kind of yoga do you teach at Yoga Junction? 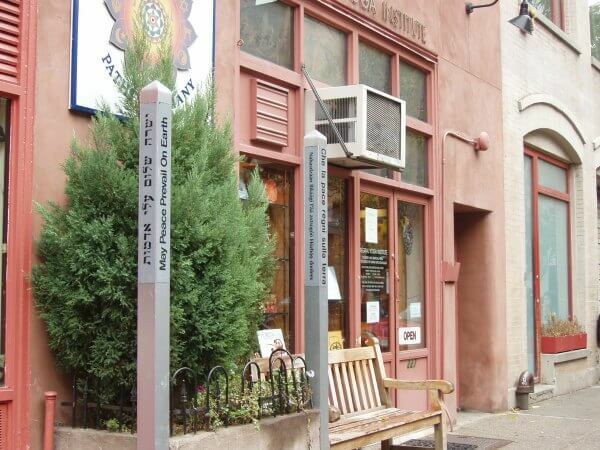 Our studio is a neighborhood community studio that offers yoga at an affordable price. 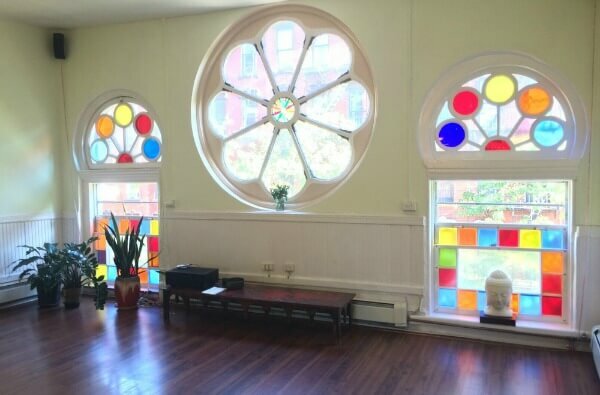 The building is a former synagogue and is a very peaceful space with colorful windows overlooking East 6th Street. We are dedicated to providing students with an accessible, community space in which to nurture body and mind. Different studios have different offerings and different types of community within them. We think the community of people practicing yoga is stronger than the community of studios. We don't see many studios working together or holding events together. However, we do see some crossover in teachers among certain clusters of studios. What kind of yoga do you teach at the Lucky Elephant studio? Alignment based Vinyasa and Hatha classes, Gentle and Restorative classes, as well as stretch class for those wanting to move a little slower. At Lucky Elephant Yoga and Wellness we cater to everyone. We are a wellness center, helping people to come into a natural balance of health and wellness. We try to keep the sangha (community) open. We work together with other studios on workshops, teacher trainings, and creating an atmosphere of abundance and love!